Slate Group, a national commercial printer out of Lubbock, TX, has greatly expanded their in-house capabilities to include Foil Stamping and Embossing by installing Kluge’s ApexFoil machine. Although the key properties of foil stamping are easy to identify – Time, Temperature, and Tonnage (3-T’s) – they have often been difficult to measure and control. Operators at Slate Group can use the ApexFoil’s Compass™ control system that includes patented features to control the 3-T’s. Compass allows operators to greatly reduce, and in some cases, eliminate make-ready on every job. Slate Group focuses on providing their clients with a consistent look, no matter the print job requirements. Since opening their doors in 1985, they have aimed to build a reputation of creativity, consistency, and quality. They involve their customers as much as possible in the creative process, coming up with print solutions customers originally didn’t know were possible. And by adding foil stamping and embossing they can control the turnaround times and ensure the quality standards their customers at Slate Group have come to expect. 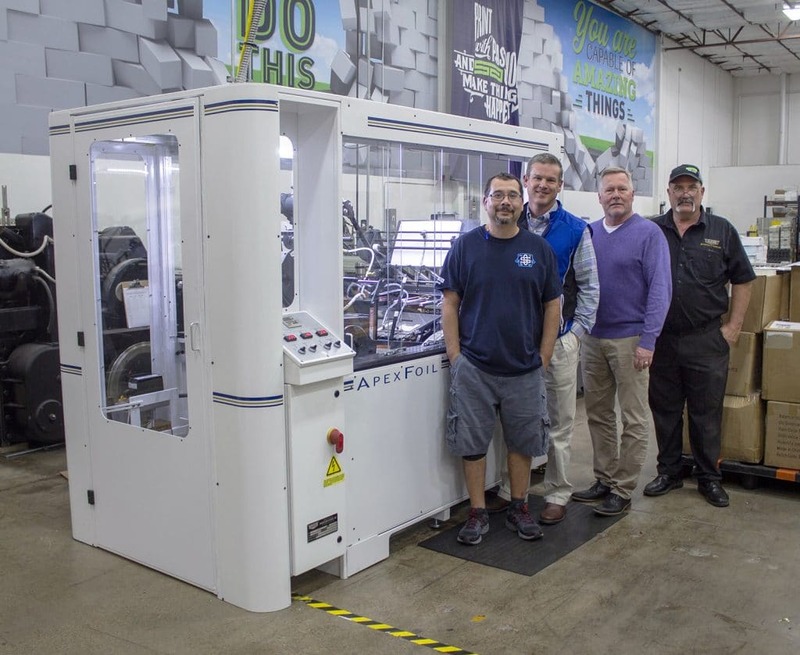 “The quality and ease of use of our new ApexFoil machine, along with the sale, installation and support of the Kluge team, especially Kenneth ‘K.C.’ Chapin, has exceeded our expectations,” said Brad Phinny, COO at Slate Group. It is important to Slate Group to be able to follow through on its claims of producing high-quality work, which is why they make sure to invest in equipment that will let them do just that. They chose a Kluge for its heavy-duty construction and precise registration, along with the company reputation for service and support. As they aim to be a reliable, high-quality company, it is important for them to have reliable, high-quality equipment they can trust. Click here to visit Slate Group.